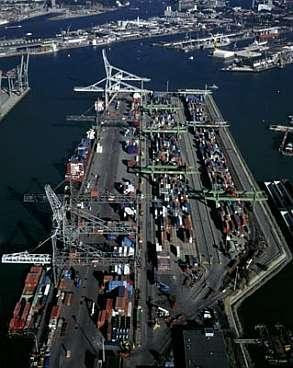 The Port of Rotterdam is the largest port in Europe, located in the city of Rotterdam, Netherlands. 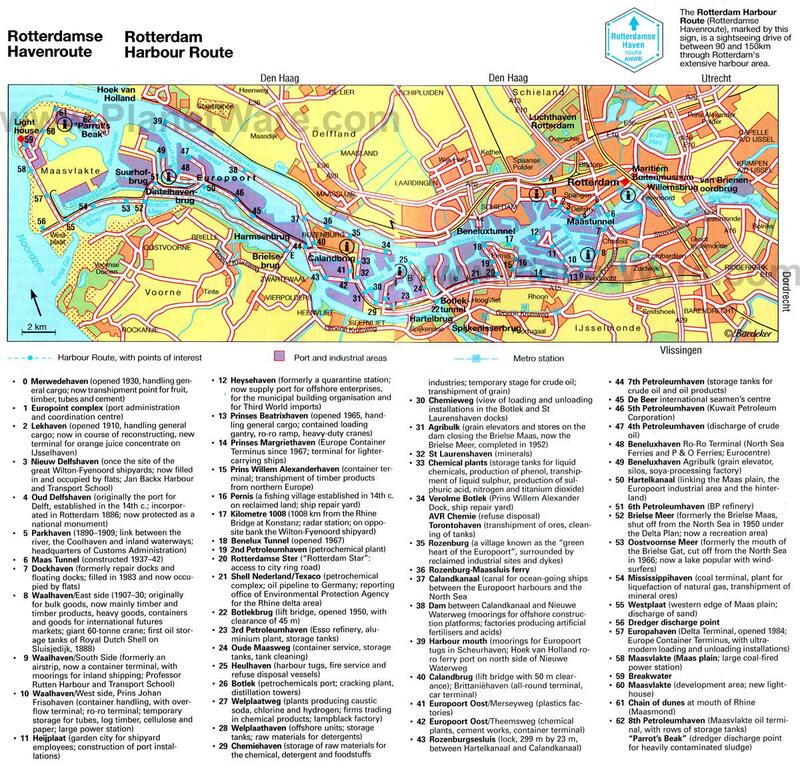 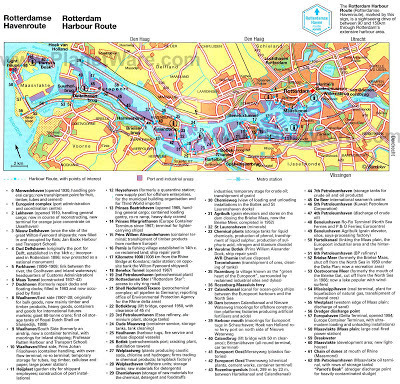 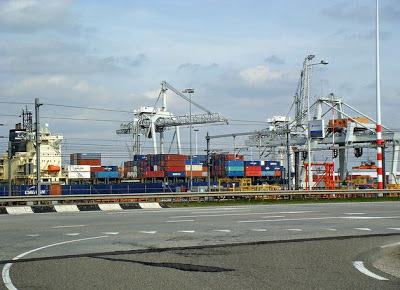 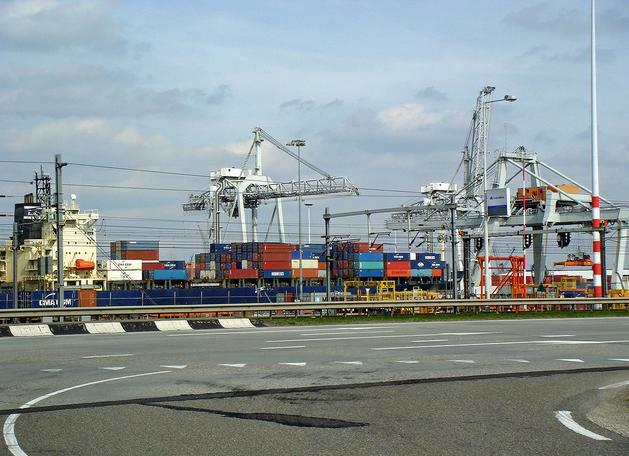 Rotterdam mainport is Europe's logistical centre with an infrastructure catering to all transport modalities. 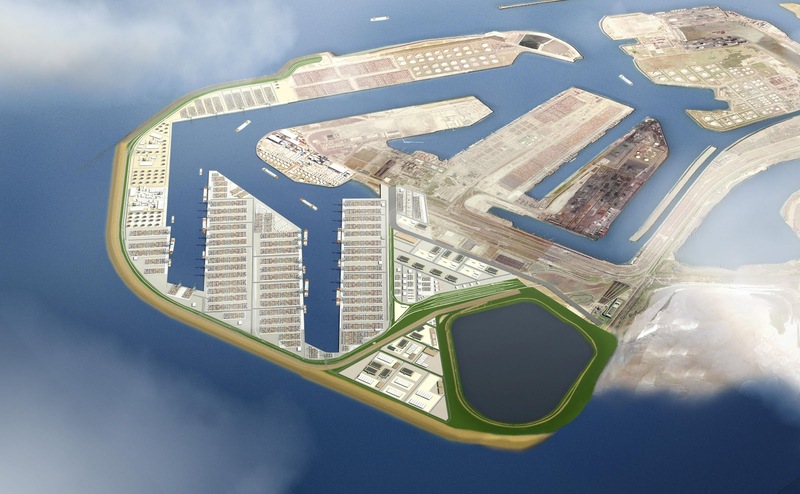 It consists of different distinct port areas and distriparks that facilitate the needs of a hinterland with 40,000,000 consumers. 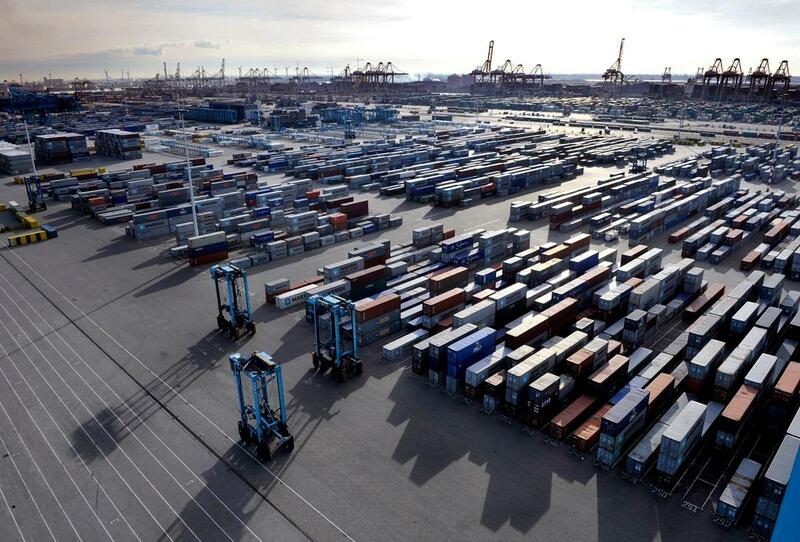 From 1962 until 2004 it was the world's busiest port, now overtaken by first Shanghai and then Singapore. 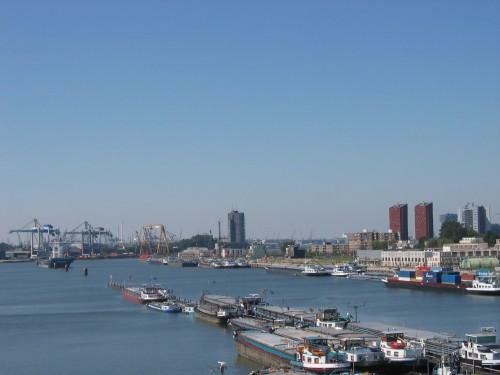 In 2009, Rotterdam was the world's tenth-largest container port in the world. 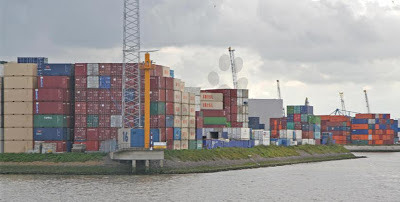 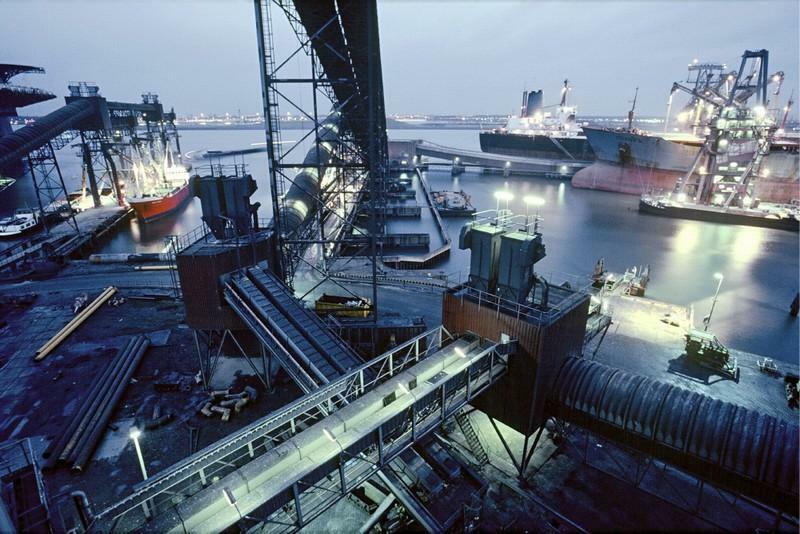 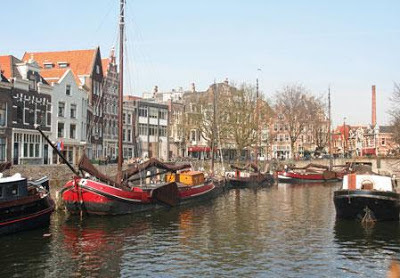 In 2011 Rotterdam was the world's fifth-largest port in terms of annual cargo tonnage. 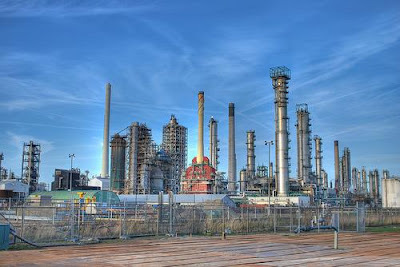 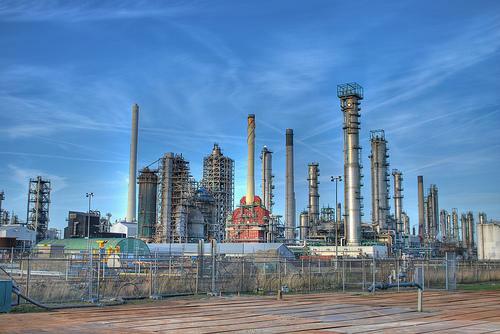 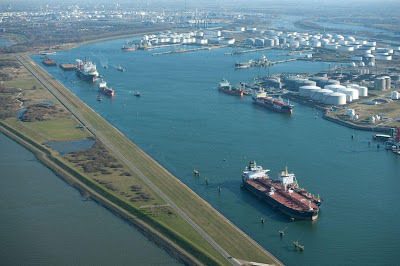 Covering 105 square kilometres, the port of Rotterdam now stretches over a distance of 40 kilometres. The reclaimed Maasvlakte area, which projects into the North Sea.